The dsp.PhaseExtractor System object™ extracts the unwrapped phase of a real or a complex input. Create the dsp.PhaseExtractor object and set its properties. 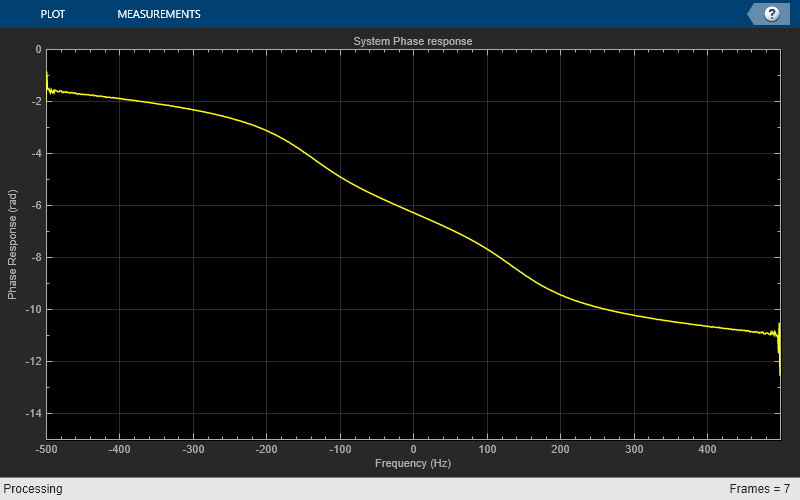 phase = dsp.PhaseExtractor returns a phase extractor System object that extracts the unwrapped phase of an input signal. phase = dsp.PhaseExtractor(Name,Value) returns a phase extractor System object with the specified property name set to the specified value. Specify if the phase is to be unwrapped only within the frame, as a logical scalar. false –– The object returns the unwrapped phase while ignoring boundaries between input frames. true –– The object treats each frame of input data independently, and resets the initial cumulative unwrapped phase value to zero each time a new input frame is received. p = phase(input) extracts the unwrapped phase, p, of the input signal. Each column of the input signal is treated as a separate channel. The System object unwraps the phase of each channel of the input signal independently over time. Unwrapped phase of the input, returned as a vector or a matrix. The size and data type of the unwrapped phase output match the size and data type of the input signal. Create a dsp.SineWave System object?. Specify that the object generates an exponential output with a complex exponent. Create a dsp.PhaseExtractor System object?. Specify that the object ignores frame boundaries when returning the unwrapped phase. Extract the unwrapped phase of a sine wave. 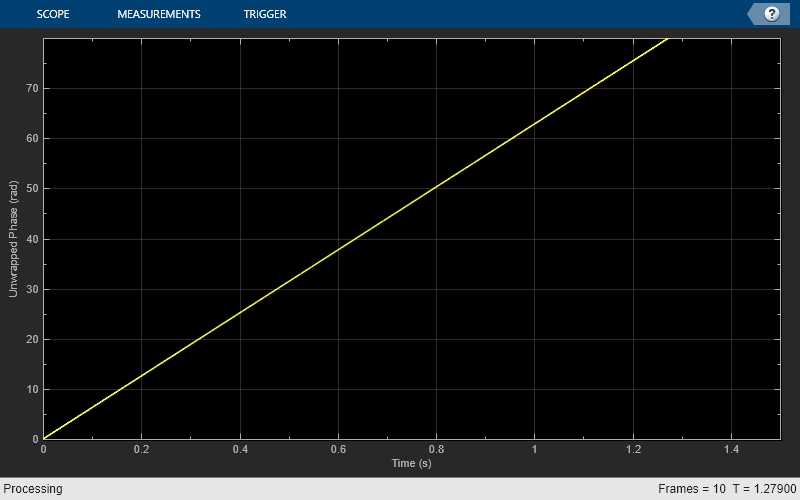 Plot the phase versus time using a dsp.TimeScope System object?. Create a dsp.TransferFunctionEstimator System object?. Create a dsp.PhaseExtractor System object?. Specify that the object must treat each frame of data independently. Create a dsp.IIRFilter System object?. Compute the transfer function of a third-order IIR filter. Use the butter function to generate coefficients for the filter. Extract the phase response of the transfer function. Plot using a dsp.ArrayPlot System object?. Here, i runs from 1 to N. The angle function returns the phase angle in radians. Φ0 is the last unwrapped phase from the previous frame. x0 is the last sample from the previous frame.